I’ve wanted to try my hand at making ravioli for a few weeks now and after getting some fresh goat cheese from Beltane Farm this weekend I though what better time than now. For filling I also used some Bridgid’s Abbey from Cato Corners as well as a bean sprout salad I made earlier in the week. I started off by making dough with 2.5 cups of organic whole wheat flour and 3 eggs from The Farmer’s Cow. After setting under a damp cloth for 15 minutes I rolled out long narrow pieces to setting 5 on my pasta machine. 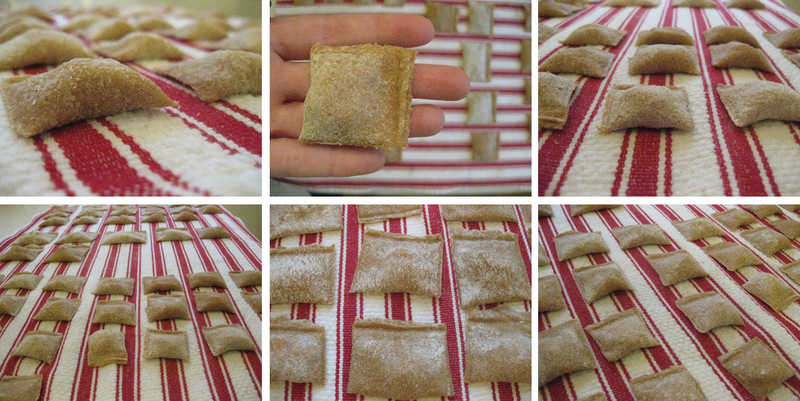 Then dotting one side with the filling and folding over the other side over I made one long strip of ravioli. 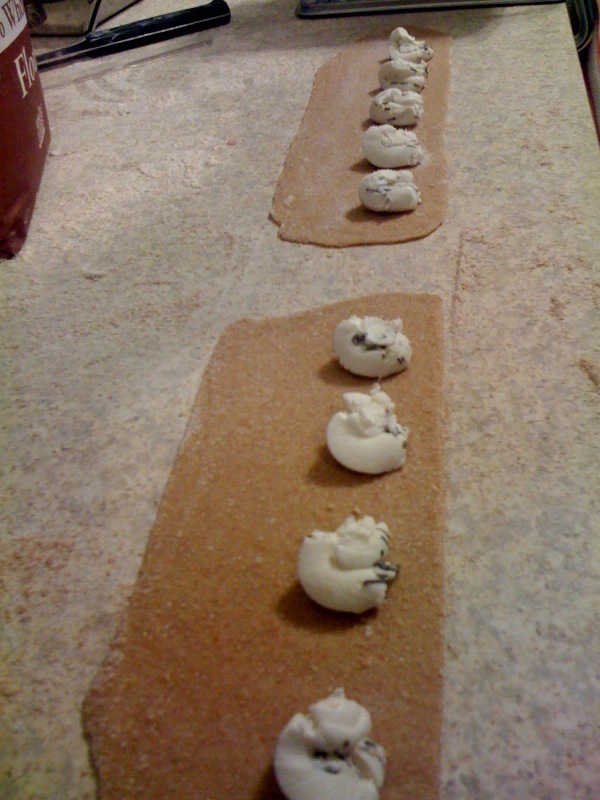 After pressing firmly to seal I cut them in to individual pieces and set them on a towel to dry. Not bad for my first try! Entry filed under: What's Cookin'. Tags: Pasta Making, Ravioli.